For now, the important part is understanding how this new wave of technology and supersonic jets is going to affect the world. More specifically, how will it change business travel for the better? It seems strange, but there was once a supersonic jet flying around, poised to revolutionise the aeronautics industry. That aircraft was called the Concorde, and it was fast as hell. In fact, it had the potential to cut travel times in half especially over long distances. Imagine a four-hour flight from the the US to the UK? You could make a quick getaway over the weekend and be back in time for work the next week. It makes sense why the British ambassador once called it “the flower of the aerospace industry.” And flower it was, yet expensive. A round-trip flight on the aircraft was remarkably pricey. Buying a ticket from London to New York factoring in today’s inflation, would be the equivalent of $18,260. Whoa! Naturally, business never boomed for this transportation method. To make matters worse, 9/11 came and went, obliterating the air travel market for some time thereafter. And so, the supersonic Concorde petered out. But surprisingly, nearly 14 years after the Concorde flew for its final time, the technology has returned, albeit in some new, innovative ways. Some of this can be attributed to modern companies and manufacturers looking to innovate. They’re pursuing new technological advances, systems, materials, computing, and more. Also, there’s a significant boon in the global business travel market, calling for more economically feasible, yet efficient aircraft. Make no mistake, this new supersonic travel - reemerging or not - will still be expensive. But that’s exactly why it’s ideal for business class and business travel. And once the technology has been perfected, optimised, and is more economically-friendly, we may see it emerge in the consumer travel market. Why are they considered fast, and what does supersonic actually mean? To understand the full benefits of this technology, you first have to recognise how it’s achieved. Or more importantly, why these new jets are considered to be “supersonic” or significantly faster? Boiling it down to basics, there are four “regimes” or categories of flight. Those are subsonic, transonic, supersonic, and hypersonic. Each regime indicates a specific speed level or possibility, as you might expect. Vehicles that travel at supersonic speeds are moving faster than the speed of sound. This means that yes, they do break the sound barrier. At sea level, sound moves at about 768 miles per hour on average or 1,236 kilometers per hour. To make this information easier to ascertain and measure, they are denoted or referred to as Mach numbers. A Mach number is the ratio of speed for a vehicle to the average speed of sound. Naturally, that means flight or vehicles that move slower than the speed of sound are considered Mach 1 and below. Anything faster is above Mach 1 and considered to be supersonic. It’s important to note, however, that supersonic ranges from Mach 1 all the way to Mach 5, which is five times faster than the speed of sound. So, when you describe two objects as supersonic, they may fall into that range and still be moving at separate speeds. The Concorde was the most popular and viable passenger vehicle to travel at supersonic speeds. A flight from London to New York would take about 3 and a half hours, as opposed to 7 or 8. But as you know, the Concorde flew for the last time in 2003. The good news is, an alternative may soon come to pass, or at the least for business class travellers. However, the thermal management of electronics systems is one of the most limiting factors for aircraft in the modern age. The more advanced aircraft and related technologies become, the more there’s a need for lower volume, mass, and power consumption of the overall thermal systems. That, coupled with the fact that these aircraft must be designed to withstand extreme conditions - like Mach 1 speeds and above - and it’s evident it will take some time to iron out the particulars, even with something like the Concorde having already been developed. 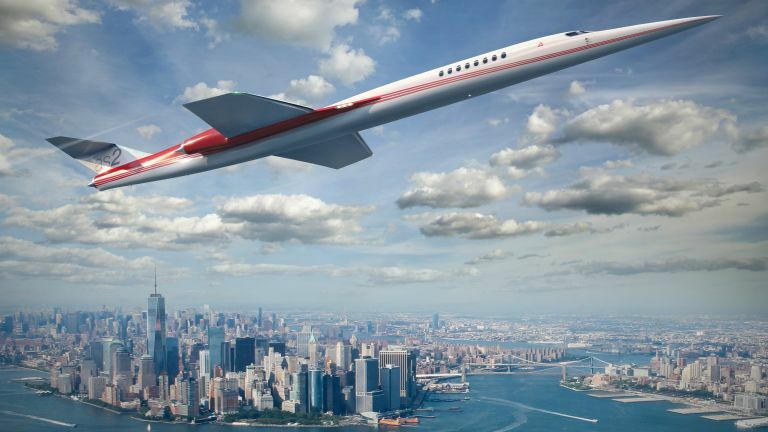 Companies like Aerion Corporation and Airbus Group are already working together to come up with supersonic technology. They’re working on a jet called the AS2, for instance, which will be capable of traveling at Mach 1.5 or one and a half times faster than the speed of sound. In the real-world, that would cut the flight from Los Angeles to Tokyo to about five hours instead of an excruciating 10. That time gap allows for way more opportunities. You could, for example, fly to Tokyo for dinner, and then fly back home to your family all in the same night. And it would take the same amount of time as a one-way trip with conventional technology. The biggest hurdle, of course, being the barrier to entry; the cost. To make this a viable solution for all businesses big and small, costs are going to need to stay manageable, much more so than they were for the original Concorde. We won’t know until the technology is fully developed and in use, whether or not that’s going to happen, sadly. But the implications of a supersonic jet alone certainly make it worth all the effort, and the waiting.